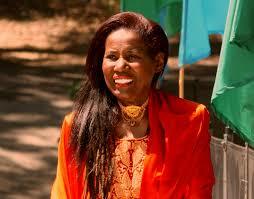 World Treasures Music spoke to Luaka Bop president Yale Evelev, the label’s latest release compiles the work of Alice Coltrane – World Spirituality Classics 1: The Ecstatic Music of Alice Coltrane Turiyasangitananda. The record features music Coltrane made while she lived at the Sai Anantam Ashram (a spiritual monastery in California), which she established in 1983. The songs were recorded between 1982 and 1995 and had previously been available only on cassettes distributed within her spiritual community. Luaka Bop has celebrated music from around the globe since 1988 and was responsible for releasing the work of William Onyeabor. 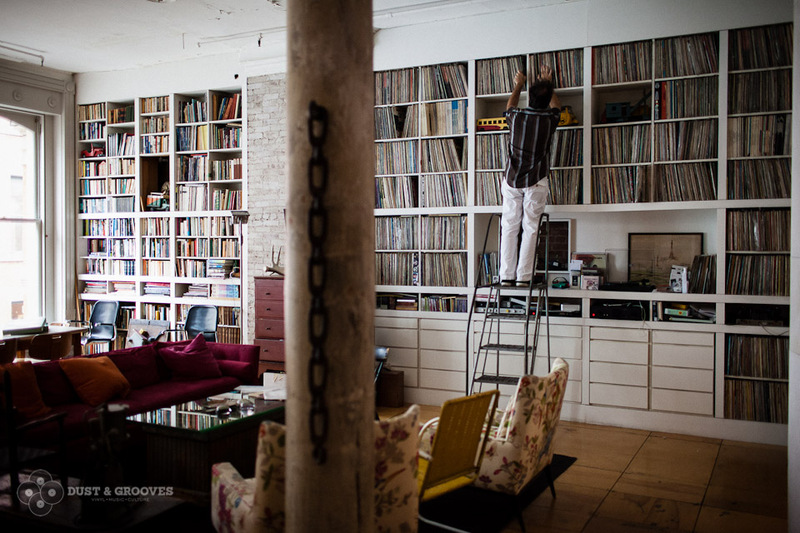 Yale Evelev, president of the music label Luaka Bop and an avid vinyl record collector, photographed in his home in NYC for Dust & Grooves, a photo documentary on vinyl rcord collecors. WTM – What have been the emotions now the Ecstatic Praise project has finished? Well the way we work is that the project doesn’t really finish, so that idea of emotions after a finish just don’t come into play. Overall it’s been an amazing project though. Usually we are working on things that are somewhat unknown. This on the other hand, was music that was very important to many people from an artist who was even more important to many more. The response has been so great, we hope that we get to continue to work with her legacy, though whether that will be allowed is unknown. WTM – What was the most memorable moment of the project? Going to the Ashram for the first time and seeing a Sunday service with the handful of remaining members. I cried. For us to see in action something that we’ve worked so hard on is actually very rare. WTM – Where have you dug for records most recently? I try not to look for records unless I’m traveling. If I’m in another country I feel I’ll never see that record again, if I’m in America I feel ‘do I really need that record?’. That said, my son DJs and so we at times drive around to shops just to see what they’re like. So to answer your question, New Jersey. WTM – What’s been your most prized find of late? 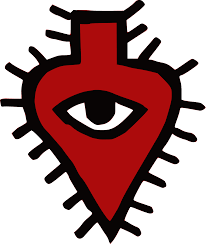 I have been buying lots of African albums on Discogs, though I feel I am starting to come out the other end of this wellspring of amazing albums. WTM – Do you and David Byrne feel working in Alice’s music has been constructive? 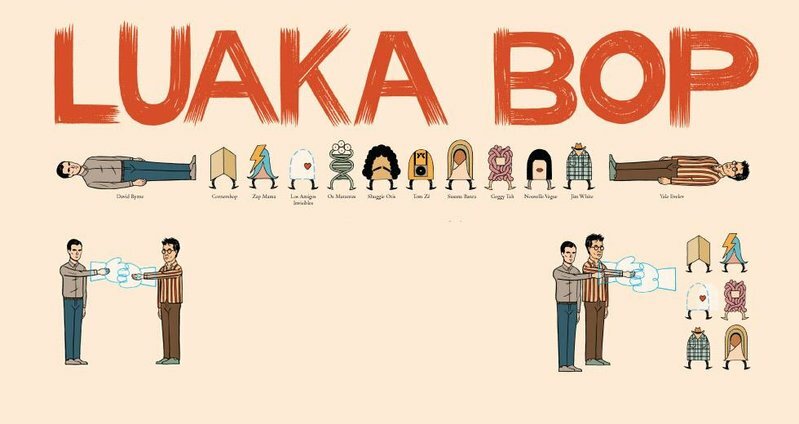 David actually has had nothing to do with Luaka Bop since 2003, though he co-owns it with me. WTM – What next for the label? A continuation of the World Spirituality Series. Plus an album from Domenico and one from Kassin, both of the Plus 2’s. So elusive, so important to hear from him – even news of fresh material. However, the pre-amble with Lauren Laverne (BBC Six presenter) seems to suggest that most of the interview was fairly abstract, limited in duration, as well as fairly crackly. It’s a shame, but continues to add to the enigmatic quality of the artist and is very much in keeping with the marketing and promotion of Onyeabor by David Byrne’s fantastic (otherwise) label. Would be so good to hear more from this man. In relation to new material, the gospel channel supposedly hosting a new song from Onyeabor can be found on YouTube. However, links to the specific song have been disabled. Rumours are abound online discussing the song, but how long was this song hosted for? Has Onyeabor fed his fans a red herring to attract them to this channel? He is now a man of God after all and gave a brief religious message at the end of the 30 minute Luaka Bop documentary released in 2014. In that, Onyeabor appeared briefly (literally a few seconds) and played a recorded message. The figure presenting the recording was purported to be Onyeabor, but viewers never heard him speak directly or got a good look at him. Together with this brief interview, It only adds further to the mystery! To see and hear a flavour of gospel from Nigeria click for WT’s West Africa page here.